The Supreme Court yesterday (9th February 2011) delivered a landmark judgement in the first procurement case to reach the court, overturning previous decisions of the High Court and the Court of Appeal. The economic downturn and the massive cuts in funding for local authorities which are now beginning to flow through will increasingly require councils to look for new and innovative ways to deliver services. In February 2007, the London Borough of Brent invited tenders in accordance with the Public Contracts Regulations 2006, (the Procurement Regulations), for the provision of insurance. The company Risk Management Partners (RMP) submitted a tender, but was informed on 7 March 2007 that Brent had decided to award the contract to London Authorities Mutual Limited (LAML) which had not taken part in the competition. LAML was formed by a group of local authorities to provide insurance to the member authorities. Brent became a member of, and helped to fund, LAML, a guaranteed indemnity mutual insurance company. There was an expected saving of 15 to 20 per cent in comparison with external insurance. RMP brought a case in the High Court on the basis that Brent was acting beyond its powers and secondly that it was breaching the Procurement Regulations. The High Court ruled in favour of RMP, Brent appealed this decision. The Court of Appeal agreed with the High Court’s findings and ruled that Brent did not have the power under section 2 of the Local Government Act 2000 or section 111 of the Local Government Act 1972 to enter into a mutual insurance company. The Court of Appeal also agreed with the High Court’s findings in respect of procurement law – the Teckal exemption (see below) did not apply, therefore a full procurement exercise was necessary before awarding the contract. 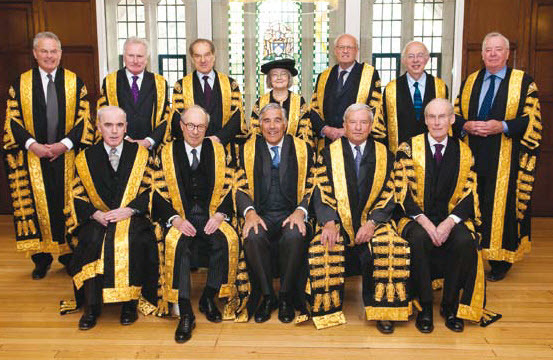 Brent and the other London Boroughs furthered appealed the case to the Supreme Court. The Supreme Court appeal considered the scope of what is known in public procurement law as the Teckal exemption. The UK Regulations apply whenever a contracting authority seeks offers in relation to the award of certain public contracts. They give effect in domestic law to an EU Directive, Council Directive 2004/18/EC on the co-ordination of procedures for the award of public work contracts, public supply contracts and public service contracts (‘the Directive’). It applies to the award of public contracts. Case law of the European Court of Justice has developed an exception, known as the Teckal exemption. It provides that, in certain circumstances, the award of a contract by one public body to another separate legal person will not fall within the definition of ‘public contract’ in the Directive, with the result that the Directive will not apply to it and EU law will not require the contract to be put out to tender. The Teckal exemption comprises both a ‘control test’ and a ‘function test’. (1) The local authority must exercise over the person to whom the contract is proposed to be awarded a control which is similar to that which it exercises over its own departments, and (2) that person must carry out the essential part of its activities with the controlling local authority or authorities. This appeal concerned three questions of principle. (1) Does the Teckal exemption apply to the UK Regulations at all? (2) Does the Teckal exemption apply to contracts of insurance? (3) In order for the Teckal exemption to apply, must the control which the contracting authority exercises over the contractor be exercised by that authority individually or is it sufficient that it could be exercised collectively, together with other local authorities? The High Court and the Court of Appeal held that the Teckal exemption did apply to the UK Regulations and that it was available in respect of contracts of insurance. However, they concluded that the control test was not satisfied because LAML was too independent from the local authorities which made up its membership. The claim between RMP and Brent having settled, Harrow was given permission to continue the appeal so as to have the issues of principle decided. The Supreme Court unanimously allows the appeal. It holds that the Teckal exemption does apply to the UK Regulations, that it is available in respect of insurance contracts and that it is sufficient for it to apply that the co-operating public authorities together exercise collective control over the party to whom contracts are awarded. The requirements of the Teckal exemption were satisfied. The Teckal exemption applies to the UK Regulations. Although the definitions in the UK Regulations differ in some respects from the Directive, the purpose of the UK Regulations was to give effect in domestic law to the Directive. There is nothing to indicate that the UK Regulations intended to depart from the European Court of Justice’s case law. The Teckal exemption is available in respect of contracts of insurance. It did not matter that insurance was not a service that the local authority could provide for itself. What matters is whether the arrangement satisfies the control test. The Directive is not intended to protect the commercial sector by forcing public authorities to obtain the services which they need on the commercial market. Rather, its purpose is to ensure that, if public authorities do decide to obtain the services which they need from outside bodies, proper procedures are followed to ensure that potential providers have an opportunity to compete for the work. The Directive therefore does not apply where a public authority obtains the product or services from its own resources. Nor, in light of Teckal, does it apply where an authority obtains services from a separate body which is so closely connected with it that the authority should still be regarded as, in substance, obtaining the services in house. There is no reason in principle to distinguish between a situation where the body from which services are obtained exists to serve the interests of a single local authority and where it exists to serve the interests of several local authorities. The Teckal ‘control’ test requires that the public authority exercise a power of decisive influence over both the strategic objectives and significant decisions of the other body. That need not be exercised individually. It is sufficient that the public authority could exercise control over the contractor alone or together with other public authorities. There must be no private investment in the contractor. No injury will be caused to the policy objectives of the Directive if public authorities are allowed to participate in the collective procurement of goods and services, so long as no private interests are involved and they are acting solely in the public interest in the carrying out of their public service tasks: . The argument that individual control is necessary is simply inconsistent with European Court of Justice’s thinking. Here, the participating local authorities did exercise collective control over LAML. Meetings of LAML’s board were not validly constituted unless a majority of those present were directors representing a participating member. Participating local authorities each had one vote at general meetings and retained a power to direct the board by special resolution. The fact that a director could not participate in a board meeting which considered a claim by a member which he or she represented was a matter of detail. No private interests were involved. The function test was also satisfied as LAML existed only in order to serve the insurance needs of its members.